Our chicken bus getting a good wash and overhaul before the journey from Guatemala City to Panajachel. | THP Travels | Ramblings and travel photography. 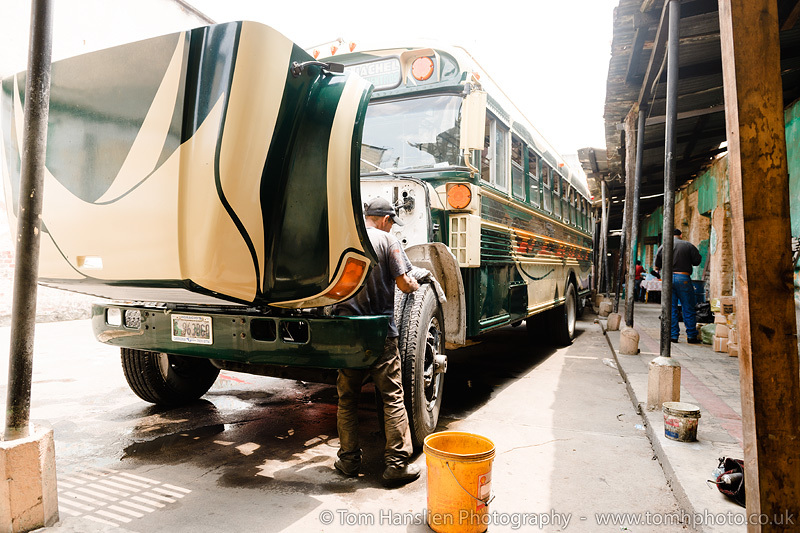 Our chicken bus getting a good wash and overhaul before the journey from Guatemala City to Panajachel.